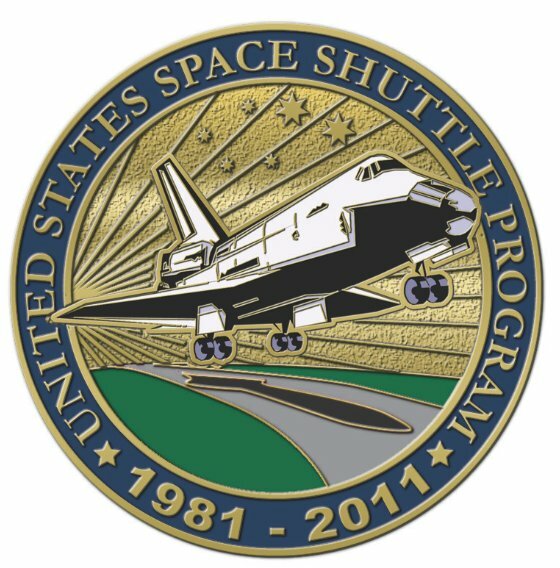 The Space Shuttle Program Commemorative Coins are now in-stock! Each coin contains METAL that was FLOWN IN SPACE as part of Columbia STS-1 — the very first shuttle mission. NASA’s Space Shuttle program has come to an end with the launch of the Shuttle Atlantis. Get your Space Shuttle Commemorative Coin at www.SpaceRaceStore.com.